Thanks for the shout-out, Kampy -- that story on Pedro is one of my favorites in my 15 year career. 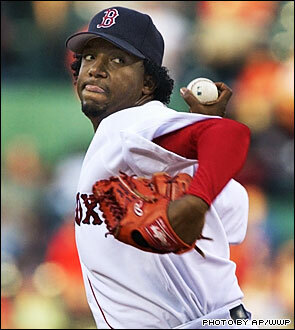 (Ever since, Pedro has been one of my favorite athletes.) If anyone wants to read it, it actually was reprinted as a chapter in "Boston Red Sox: 100 Years, The Official Retrospective", which was published several years ago. See ya.